Follow the instructions shown on PC Cleaner Pro's setup wizard to complete the installation. Notice: If your download does not start or if you experience any issues during the download, the installation of PC Cleaner Pro might be blocked by an infection on your computer. 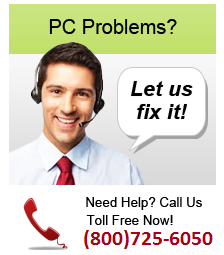 Our outstanding technicians know how to bypass most infections and help you install this software. If this is the case please call our Support Team Toll Free at 1-800-725-6050 open 24X7.